When looking to improve the comfortability of the home and reduce the numbers in the monthly electricity bill, the first part of the home that people usually change is the windows. Why? If you haven’t heard about this before, the windows in your home can have a direct impact to your home’s consumption of electricity because they decide how much heat exchange can happen between the inside and the outside. A good window should be able to provide a proper sealing so that the heat exchange can be greatly limited. You may also want to consider what kind of windows to choose based on how much air circulation and how much sunlight that you want. Nevertheless, if you have indeed decided that you need to replace your windows, you may have come to the question: fiberglass or vinyl? Many people have asked about the same question, too. There are many kinds of windows available on the market, but modern and contemporary windows are usually made from either fiberglass or vinyl. 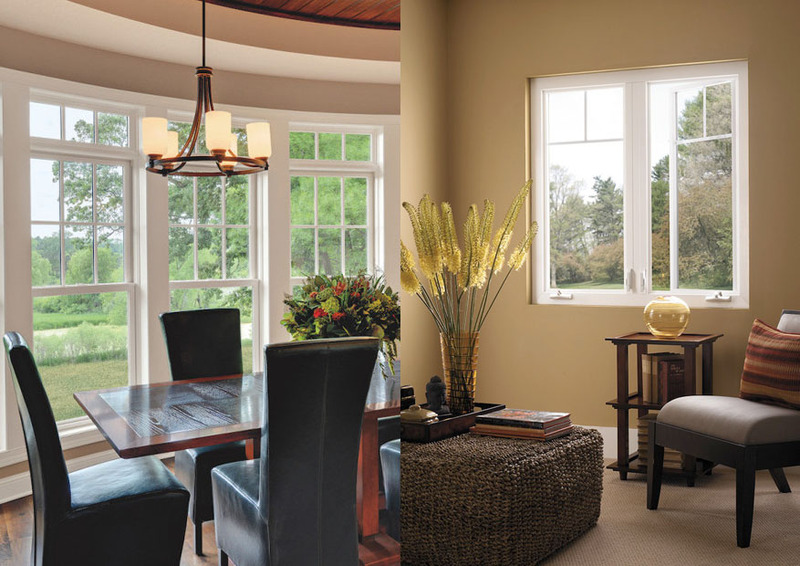 Below, we will see the differences and comparisons between fiberglass windows and vinyl windows to help you decide. First of all, let us see from the price perspective so that we can be sure that your choices are within your budget range. More often than not, you can find vinyl windows to be cheaper than the fiberglass counterparts. The price difference is mostly because of the materials used. Vinyl was invented to be a low-cost industry material, so this is not surprising. Vinyl is a synthetic resin or plastic, formed from polyvinyl chloride or other related polymers. On the other hand, fiberglass is a reinforced plastic materials made from glass fibers that are embedded in a resin matrix. In general, you can expect to pay 15% – 30% more for fiberglass windows. In addition, many home improvement stores are now selling vinyl windows readily made for “do it yourself” projects, meaning that you can further press down the total expense by saving on the labor cost. So, if your current budget is very limited, you may want to stick with vinyl windows. 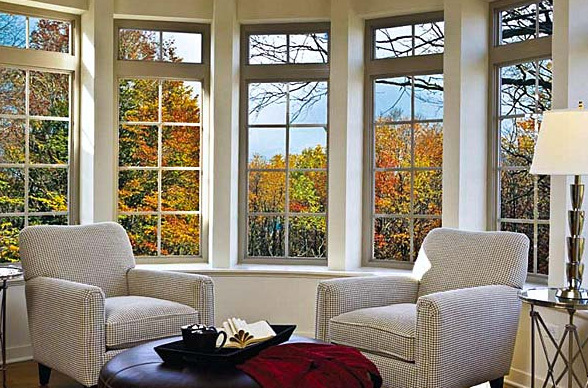 Though, if you are quite a green person, you may want to choose fiberglass windows instead. Fiberglass is composed of approximately 60% glass, and glass is a highly recycle-able material. As a matter of fact, almost everything from home insulation components to cars is using fiberglass. Vinyl can also be recycled, but the recycling process is quite more difficult. Both fiberglass windows and vinyl windows come with baked-in colors, but the problem with vinyl windows is that you can’t really paint the frames. So, after the purchase, you are sort of stuck with one choice of colors. The other problem is that vinyl windows don’t really replicate the looks of wooden windows. If you want your windows to appear all classy and elegant, vinyl windows are not the best options. On the other hand, fiberglass windows generally look better. This is because of two reasons, which are paintability and wood-look. Fiberglass windows are easily paintable. You can easily fix some flaws and scratches on the frames by re-painting them. You can also re-paint these windows using different colors. Fiberglass windows are also able to mimic the looks of wooden windows better, meaning that they can fit better in a classical environment. Some models even come with fiberglass cores and wood veneer covers. Vinyl windows are pretty durable. They should be able to withstand most climates and weather conditions. They are good for residential applications. However, vinyl windows are not the best choice for installation in office and commercial buildings; such places typically require more structural strength, and vinyl windows may not have enough. Vinyl windows would have a hard time when handling extreme temperature changes. They are very susceptible to temperature levels. In the winter, they may shrink down. In the summer, they may expand and thus are more prone to breaking. Compared to fiberglass, the wear and tear on vinyl can happen much sooner. 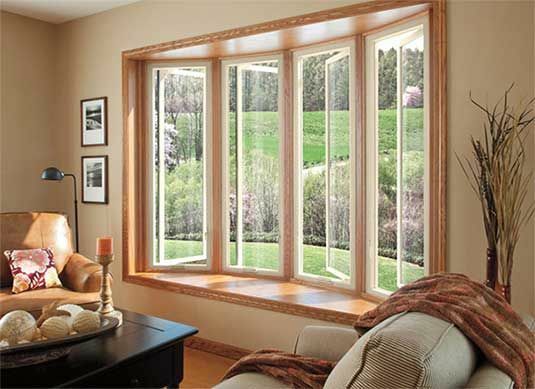 Fiberglass windows are at least eight times more durable than vinyl windows. Since they are more durable, they will also last longer. So, you will not have to replace your windows any time soon. Fiberglass windows are able to withstand temperature changes better, and they resist degradation caused by UV five times longer. Of course, fiberglass is a thermoset material, so it is not prone to overheating. This factor is more greatly affected by the style of the window model that you choose. However, considering that the material is more durable, it is not surprising if you find that there are some fiberglass windows that have thin frames. Thin frames allow more sunlight to come in. Vinyl windows are generally thicker. The factor that we should not forget to consider when choosing between fiberglass and vinyl windows is the energy saving performance. However, this is not exactly an easy question. The window material is just one small factor, and there are other factors that play greater roles in determining the window’s energy saving quality. These factors include window style and size. Nevertheless, there is a reason why fiberglass is widely used for insulation components. Fiberglass is a good thermoset material that can seal properly and greatly minimize heat exchange. On the other hand, vinyl is not as widely used because it is a thermoplastic material. Heat can still gradually pass through it. So, if you really want to improve your home’s energy saving performance and reduce your monthly electricity bill, fiberglass windows may give you more satisfying results than vinyl windows. In general, fiberglass windows are generally considered to be of higher quality than vinyl windows because of the advantages they offer: they are much more durable, paintable, good-looking, and effective in energy saving. In addition, fiberglass windows can also mimic wooden windows better and may allow more sunlight to come in due to the thinner frames. However, if you are on a really tight budget, vinyl windows can be a good alternative – there are readily made models available for DIY projects.